Peugeot Automobile Nigeria (PAN) thrilled exhibitors and participants leading with high tech and innovative of its products assembled in Nigeria at the opening of the 27th edition of Enugu International Trade Fair. 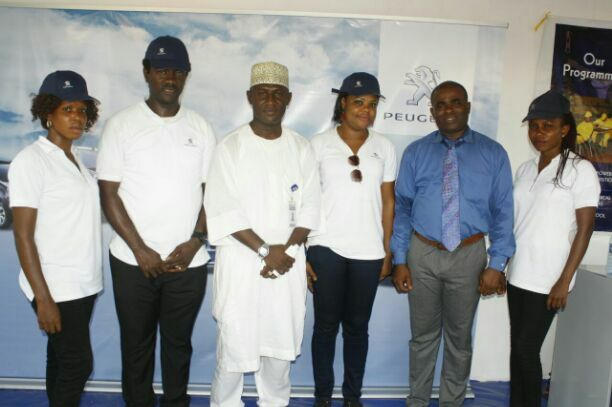 Announcing Peugeot presence at the fair, the Zonal Sales Manager, South East, Mr. Gerald Ikejiofor said PAN was at the fair to showcase the locally assembled automobiles. They include the new 508, 301 and the Expert Tepee from PAN Kaduna plant. According to him, the various models of cars on display attract high traffic to PAN Pavilion from the first day. Many participants at the fair trooped to Peugeot stand to catch glimpses of the new products on display. Also on display along with the various models of cars, are genuine spare parts and after sales service which Peugeot offers to their clients across the nation and beyond. He revealed that PAN has put everything in place and working round the clock to achieve the target of 60,000 annual output, under the agreement signed with PSA on the 301 CKD production which commences soon. Mr Gerald thanked the Enugu Chamber of Commerce, Industry, Mines and Agriculture (ENCCIMA) for the opportunity to show case the Peugeot new products which are currently competing favourably with an edge in the market, noting that such initiative will work out a rewarding and a lasting business relationship in the Nigeria auto Industry. The Zonal Manager called on prospective customers particularly the low income earners, to embrace the Peugeot Vehicle Acquisition Finance Scheme (PVAFS) currently going on with Access Bank, FCMB and JAIZ Bank to grab a life time opportunity of owning and riding a high flying, durable and quality brand new car. The PAN group has also taken an innovative step to present some technical skill acquisition programmes available in PAN Learning Center; a subsidiary of PAN group. The 27th edition Enugu international trade fair with the theme; “Diversification of the Nation’s Economy from Rhetorics to Coordinated Action” was declared open on Friday by the Minister of Industry, Trade and Investment, Okechukwu Enelamah who was the Special Guest of Honour. The Minister was represented by the Chairman, Senate Committee on Investment, Chief Sam Egwu.